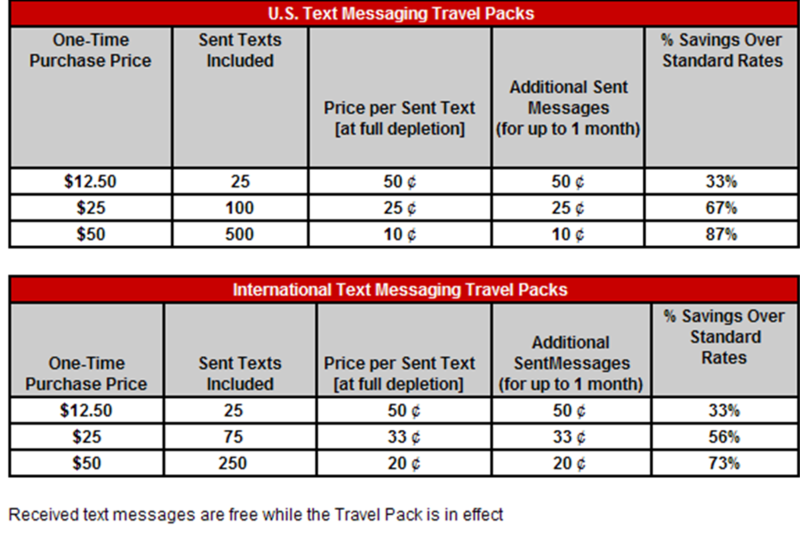 This week, Rogers and Fido have revised their US and International Text Messaging Travel packs. These packages are targeted toward travelers that may send a lot of text messages while using their iPhone outside of Canada and want to avoid paying excessive per message roaming fees. These add-ons, like Caller Display and Voicemail, can be added to any iPhone plan. However, the revision is rather odd considering typical Rogers/Fido behavior. While the prices were increased in the new packs, the amount of given text messages were also increased. However the biggest change was there is now a separate designation for US Text Messaging packs and International Text Messaging packs. So in a way, this is a positive change with increased messages, but now you pay two different fees for traveling text messages, where previously one fee covered both US and International. For US text messages, previously for $10, customers could send 20 text messages with unlimited received. Now for $12.50, customers can send 25 text messages with unlimited received. A difference of $2.50 and 5 text messages. For US text messages, previously for $20, customers could send 50 text messages with unlimited received. Now for $25, customers can send 100 text messages with unlimited received. A difference of $5.00 and 50 text messages. For US text messages, previously for $35, customers could send 100 text messages with unlimited received. Now for $50, customers can send 500 text messages with unlimited received. A difference of $15.00 and 400 text messages. So what do you think? Is there any value here?